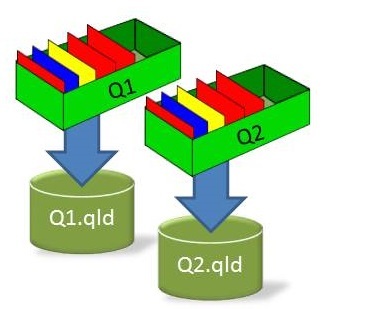 MQGem Software is pleased to announce that a new version of QLOAD, our queue load/unload tool for IBM MQ, is now available. This release was created for one specific customer requested feature, retrieving messages from your queue manager log. IBM MQ comes with a utility, dmpmqlog, which can format your queue manager transactional log and dump out the contents of messages in a hex format (example below snipped for brevity). 00432:  00 00 00 00 00 00 00 00 00 00 00 00 FF FF 00 00    ............ÿÿ..
00448:  48 65 6C 6C 6F 20 57 6F 72 6C 64 21                Hello World! This format is a little tricky to extract the data from to reinstate your message. As you can see above, you get the MQMD and the message data all in one block. It gets even more tricky when your message is broken up into several log records! This version of QLOAD hopes to make the process of recreating message from your transactional log files much simpler to do. It can only work when the messages you want are in the log file though. There’s no magic! With the following invocation, QLOAD will run the dmpmqlog utility and parse through the output looking for the queue you requested, in this example HELLO.WORLD.Q, and write any messages it finds to the HELLO.WORLD.RCOV queue on queue manager MQG2. If you have already run dmpmqlog, perhaps to determine whether the messages you wish to retrieve can be found in the log, then you may have already spent a few minutes waiting for the utility to complete. You can use the output files you generated from the utility as input into QLOAD. A third alternative is to run QLOAD against queue manager log files that have been copied off. In this case you provide QLOAD with a directory containing these files. This command drives dmpmqlog with the -f parameter, and so the criteria for this directory must follow what is described in Knowledge Center for running dmpmqlog in that way. In addition, you must use the -m parameter to specific the queue manager name that these log files came from so that queue names can be found, and that queue manager cannot be running at the time. The specified directory must contain the log header file (amqhlctl.lfh) and a subdirectory called active. The active subdirectory must contain the log files. By default, log files are assumed to be in the directories specified in the IBM MQ configuration information. If you use this option, queue names associated with queue identifiers are shown in the dump only if you use the -m option to name a queue manager name that has the object catalog file in its directory path. Whichever of the above methods you choose to use, you can add many of the QLOAD filtering options to your command. For example, you can find all the messages containing a particular search string. Or perhaps you need to pluck out one specific message using its message id (or correlation id). QLOAD also has time based filtering, so if you’re looking for a message from hours, days or weeks ago, you can go directly to that time period. This example is looking for messages that were put onto the queue between 18 and 19 hours ago. Note: Filtering by Selection String (the -H parameter) is not available when your input source is a file (either a QLOAD file or an MQ log file) since it uses the Selector feature of MQOPEN. The new version can be downloaded from the QLOAD Download Page. Any current licensed users of QLOAD can run the new version on their existing licence. If you don’t have a licence and would like to try out QLOAD then send an email to support@mqgem.com and a 1-month trial licence will be sent to you. This release was created for one specific customer requested feature which we call Required Rate Processing. This feature allows you to test the speed that your system, or specific applications in your system, can process messages. You may have a target rate you need to be able to achieve, and you can use QLOAD to send messages through the system at that rate to see whether the system (the channels and the applications) can keep up. You may for example have TLS channels; or message compression; or AMS message level encryption applied to the messages which are of course, changing the performance profile of the system. With QLOAD you can test the rate using exactly the same shape and size of messages that you will use in the production environment. Starting with a queue that contains a representative selection of example messages, you can then use QLOAD to copy those messages and inject them into the system at the rate you require. In the example that follows, the required rate is 500 messages/second and the test is to run for 10 minutes. QLOAD will browse the EXAMPLE.MSGS queue and send copies of those messages to the TARGET.QUEUE. When it reaches the end of the EXAMPLE.MSGS then it will go back to the beginning of the queue and send them again, as often as required until the test ends. You can just have a single message on the queue and send it repeatedly, but to offset the cost of resetting the browse, it’s better to have 10 or more messages on the queue. In reality all your messages will not be the same, so a good selection of example messages is certainly worth collecting. If you want the test to run until you tell it to stop, you can indicate that you want it to run indefinitely with an asterisk for the duration. There are two other ways you might use this feature. Instead of telling QLOAD to run at a certain rate, you might instead want to discover what your highest rate could be. And you will see output like the following, as QLOAD ramps up the rate. It does this by monitoring the depth of the target queue, which might be a transmission queue being read by a channel, or it might be an application queue being read either by the read application or by another instance of QLOAD acting as a sink. So far you’ve seen QLOAD copy example messages from a source queue and inject them into the system over and over until the duration of the test is complete. Alternatively though, you could use this feature to move messages from a side queue (the contents of a batch run, or messages from a backout queue or a Dead-letter queue) back into the main system. If you have a large depth of these messages you may not want to load them back into the application queue all at once, since you know deep queues hurt performance. So instead you can trickle feed them into the system using QLOAD. If you’re planning to migrate a queue manager, from one machine to another, or perhaps you’re consolidating some queue managers onto an MQ Appliance, you are probably aware of, and have even become familiar with, the steps required to export your object definitions and recreate them on the new queue manager. There are a number of tools available that can do this for you – including those from MQGem. What about your messages though? While it’s generally a good idea to reduce the load, and drain off as many messages as you can prior to migrating a queue manager. For example if it’s in a cluster, suspend it from the cluster before the move, to reduce the number of messages heading its way. Let all the applications drain the queues of messages and so on. However, it’s not always possible to drain every last message from all your queues. In the latest version of QLOAD, V9.0.1, there’s a new feature that will help out when migrating a queue manager. It allows you to unload the messages from all your queues, with one command. And then you can load the messages onto the queues on another queue manager, with one command (or piecemeal if you prefer). You would combine this with your favoured object definition export tool, and before loading the messages, you’d first recreate the queues on the new queue manager with the exported commands. Here’s an example of QLOAD unloading all the queues on my queue manager. The command will produce the following output to show what has been unloaded. Using the -i (lower case) flag means that the messages are only browsed on the queues and are not destructively removed. Listing the directory where I ran the qload command, I can now see I have a file for each queue, with an extension .qld. If you prefer to have a different extension then you can alter the command accordingly. For example, use -f*.txt. I can copy these files to another machine, or simply use a client connection to the other machine accordingly. Then I can run the following QLOAD command to load the messages onto the new queue manager. APP1.RESULT                            RC(2085) Unknown object name. There are potential problems with these queues. This lets you know to go and define the missing queues if you need them – there are messages to go onto them so the assumption is that you do need them. It also warns you of non-empty queues. Now if you’ve already started using this queue manager, you might be expecting this situation, but otherwise, you should rectify it, and then re-run QLOAD. You’ll notice that this output does not mention the SYSTEM queues that were offloaded. A generic upload will not upload most SYSTEM queues. SYSTEM.CLUSTER.TRANSMIT.QUEUE and SYSTEM.DEAD.LETTER.QUEUE are the exceptions. The messages were unloaded to files though, so if you really need to load them you can do so the traditional way, by specifying the full queue name on the command and not using the generic upload. Great for taking a backups of messages or for migratory purposes. Save time and effort by doing all queues at once. Read more about this in Migrating a Queue Manager?. Very useful when dealing with messages on your Dead-letter Queue. Save off only those specific messages you are interested in. Copy or move messages currently on the Dead-letter queue or a transmission queue, based on the target queue and/or queue manager in the MQDLH (Dead-letter header) or MQXQH (Transmission header). It is now possible to target multiple MQ queues and these can now be qualified by Queue Manager name. This means that QLOAD can now be used as a queue replicator. Going hand in hand with the above feature, if you have a large number of queues you wish to distribute messages to it can be more convenient to put the names of the queues in a file and just refer to that file. This is now possible in QLOAD with the Destination file. Which MQI verbs are being used and their reason codes. The list of targeted destinations. MQGem recently announced a new version of QLOAD with a number of enhancements. One of these enhancements is the ability to use a selector string to select certain messages. The selector string is a feature in the MQ API which allows a more detailed selection of messages than just by Message ID and Correlation ID. 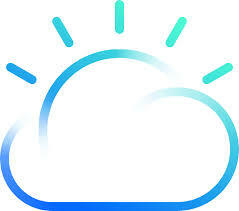 It was added in WebSphere MQ V7.0.0 primarily to allow selection by message properties when subscribing to a topic – to narrow down the number of messages a subscriber is actually sent – but it also applies to queues. In addition to the selecting of message properties, you can also treat any of the Message Descriptor fields as a selectable property, just by using the appropriate syntax as we’ll see later. We’re going to take a look at some of the things you might want to select by, but this is not an exhaustive list by any means. If you can think of others please add them in the comments, and I can incorporate them into the post. This is the example that triggered the idea for this blog post. The question was asked how to use QLOAD to only act upon report messages. To act upon only Report messages, for example to purge them from your application’s reply queue, you would use the following invocation of the QLOAD program. QLOAD -m QM1 -I MY.REPLYQ -f stdout -H "Root.MQMD.MsgType = 4"
To act upon only Expiration Report messages (and to demonstrate an SQL selector with two different fields in it), you would use the following invocation of the QLOAD program. -H "Root.MQMD.MsgType = 4 AND Root.MQMD.Feedback = 258"
As mentioned earlier, one of the original reasons for Selectors was for selecting on message properties. One of the message properties that the product adds to messages for you is the topic string when a message is published. QLOAD -m QM1 -I SUB.Q -f Apples.txt -H "MQTopicString = 'Price/Fruit/Apples'"
With a queue containing messages put by a mixture of users, you may have a need to remove or copy off those by a specific user ID, perhaps to edit the user ID before putting them back. To offload all the messages put by the user ID Paul, you can use the following invocation. As you can see it is necessary to provide all 12 of the characters of the UserIdentifier field since it is blank padded. -H "Root.MQMD.UserIdentifier = 'Paul        '"
If you have messages with expiry set, you can of course see how much time the messages have left in the Message Descriptor. The Expiry field shows the number of 1/10ths of a second the message has left to live. Remember that messages with no expiration will have this field set to MQEI_UNLIMITED which has a value of -1 so we must also test that the value is positive. So to see all the messages that will expire off your queue in the next hour, you can use the following invocation of the QLOAD program. -H "Root.MQMD.Expiry > 0 AND Root.MQMD.Expiry < 36000"
Hopefully this post has given you some ideas. There’s lots more you can do with QLOAD. 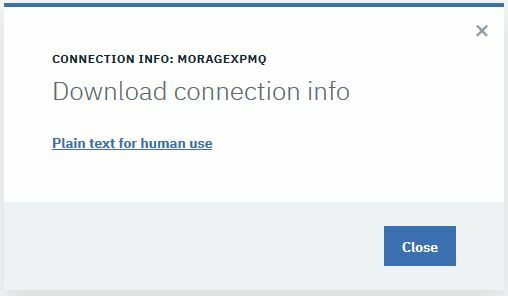 If you’d like to try it out for yourself, please send us an email at support@mqgem.com to request a free trial license. I was prompted to write this post as a result of this list-server question.